New Series – #Struggles | The Exchange | Get Life. Give Life. As you scroll through your day, does it feel like everyone else has it all together? Someone always has the best job, cutest kid, or happiest relationship. We’re pressured to measure up to other people’s social media status updates and left with more #struggles. 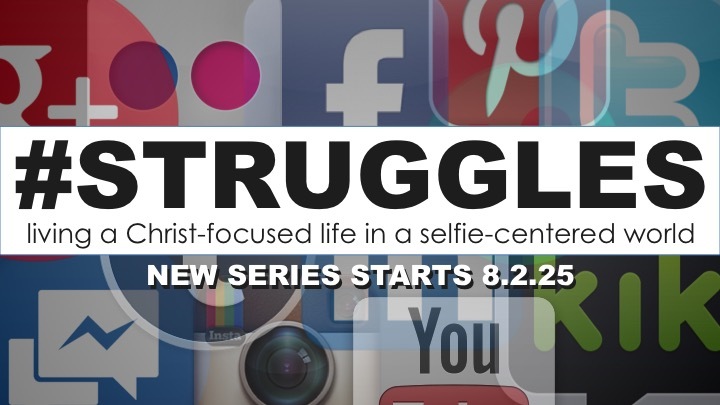 This new series will look at what it’s like to live a Christ-focused life in a selfie-centered world. Topics will include finding contentment, relationships, authenticity, and rest among all the pressures and distractions of life and social media.